The focus of Cape Town Branch begins where every customer has a named sales engineer, providing two-way dialogue and feedback. On larger sites, we offer a dedicated on-site presence, ensuring easier communication and better partnerships. "We aim to deliver a customer experience that surpasses expectation, and truly re-defines what the world expects from their mechanical seal partner." We aim to exceed expectation consistently: in delivery, quality, reliability and service. We’re challenging industry standards, challenging our competitors, challenging thinking since I joined AESSEAL (Pty) Ltd in November 2005. 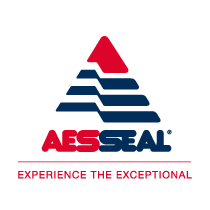 I have joined AESSEAL (Pty) Ltd in October 2013 and have since become an integral part of a dynamic sales team supporting all aspects of our business including sales, repairs and site work.